The exciting and final book of the Snow Leopard trilogy continues with the nation continuing to struggle to recover from previous terrorist attacks on the nation’s transportation system and its agricultural heartland. 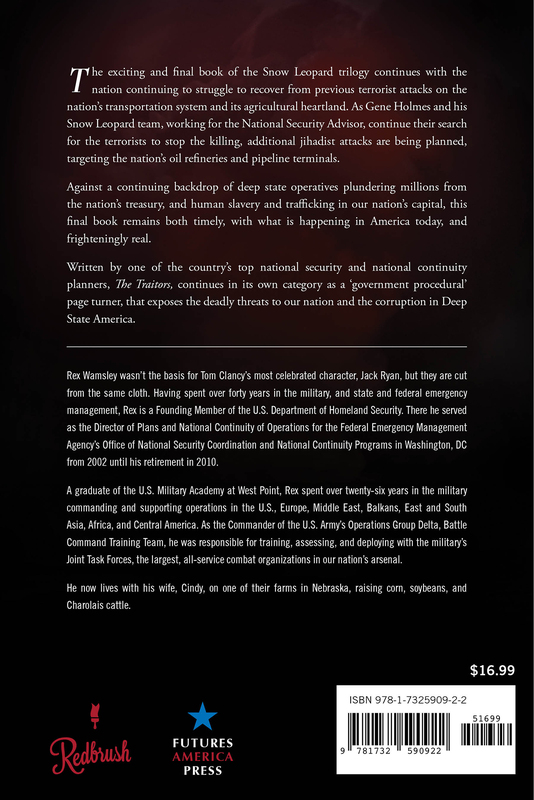 As Gene Holmes and his Snow Leopard team, working for the National Security Advisor, continue their search for the terrorists to stop the killing, additional jihadist attacks are being planned, targeting the nation’s oil refineries and pipeline terminals. Against a continuing backdrop of deep state operatives plundering millions from the nation’s treasury, and human slavery and trafficking in our nation’s capital, this final book remains both timely, with what is happening in America today, and frighteningly real. 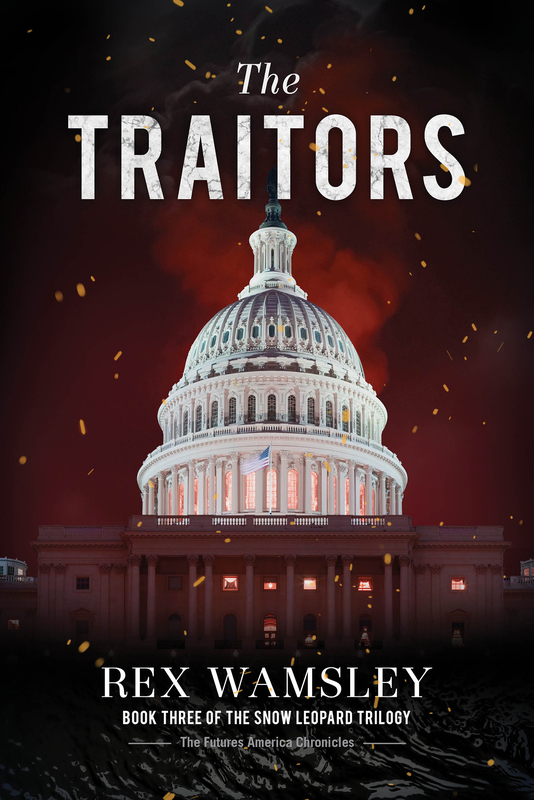 Written by one of the country’s top national security and national continuity planners, The Traitors, continues in its own category as a ‘government procedural’ page turner, that exposes the deadly threats to our nation and the corruption in Deep State America.